In the mediaeval period, Romanian lands were among the more remote areas of Eastern Europe. 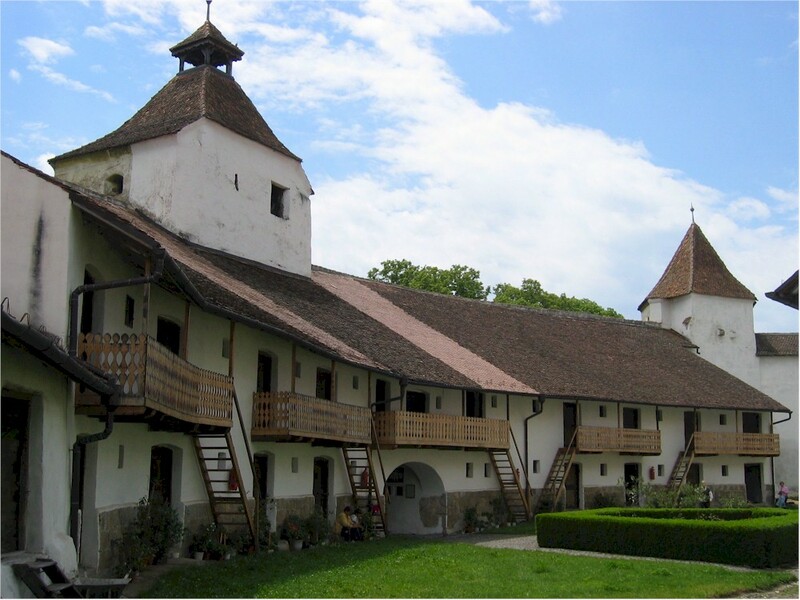 Here, in Transylvania and Moldavia, highly distinctive styles of architecture developed and flourished. The lecture illustrates the fine Gothic churches that the mediaeval Saxon settlers built in their Transylvanian towns and villages. 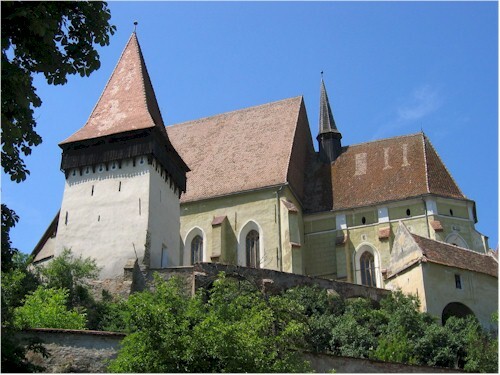 These churches are situated in impressive Baroque towns, such as Brasov and Sighisoara, and behind formidable, but picturesque fortifications in Saxon villages, such as Biertan. 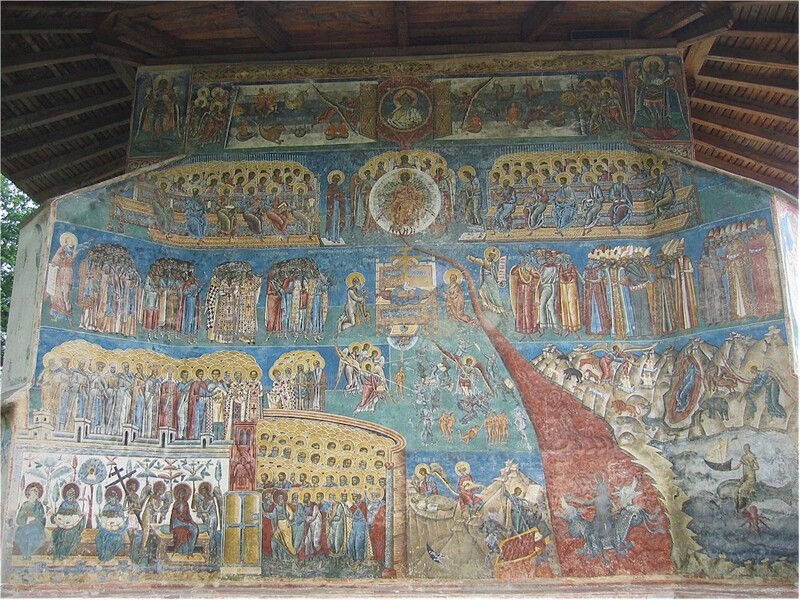 Then the lecture depicts the 'Painted Monasteries' of Moldavia, rightly famous for the frescoes that stem from the Orthodox Byzantine tradition of ecclesiastical art, as well as for the lovely architectural ensembles of the monastery buildings themselves. These frescoes - the Last Judgement, the Life of Mary, rank upon rank of Saints in the Heavenly Host, and so on - cover the exterior walls of the monastery churches and still maintain their wonderfully vivid colours and details. 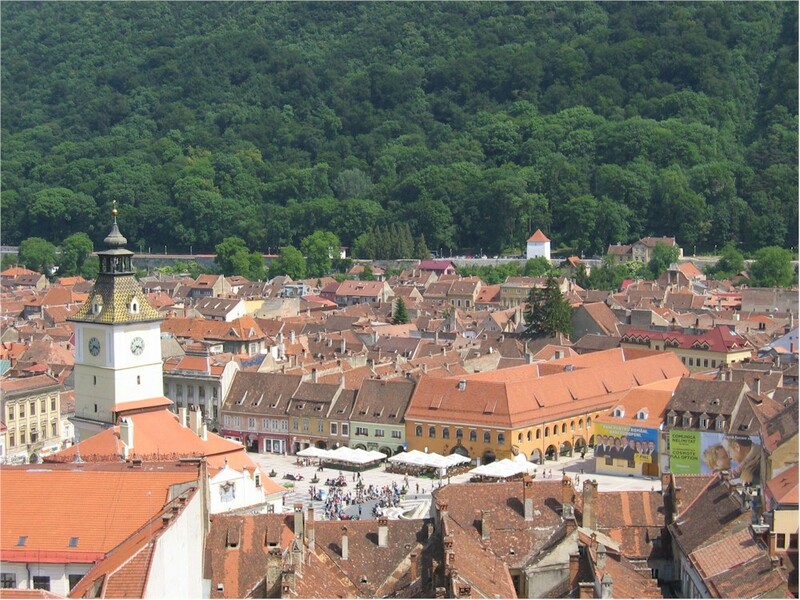 All this is set in the context of Romania's landscape and history by way of introduction. Both these books are published by the Centre for Romanian Studies. 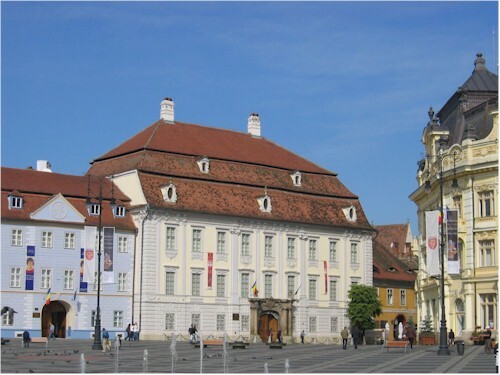 John regularly leads tours to Romania for various companies. 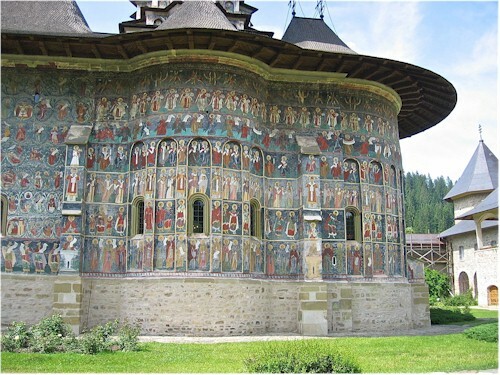 He will be leading a historical and cultural tour to Romania, including the fortified Saxon churches and cities and the painted churches of Moldavia for The Arts Society, Newbury in June 2019. He and his wife, Karen, will be leading a small group in Romania in August 2019. For further information about Ramona Cuzacu, who arranges and leads these tailor-made walking and sightseeing tours for small groups in rural Romania, see Ramona's website: www.myromania.com.ro or contact John. Details and bookings for Ciceroni Travel from 01869 811167 and www.ciceroni.co.uk.